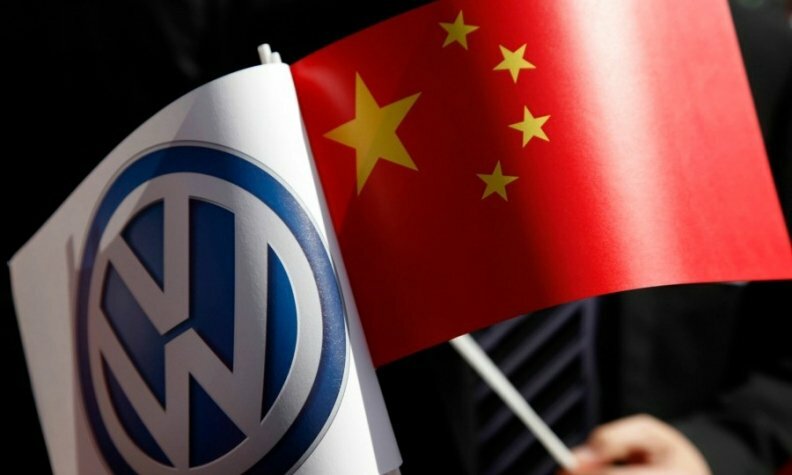 The Volkswagen Group outsold General Motors in July as well as in the first seven months of the year to reclaim its position as China's largest automaker. VW Group delivered 285,900 vehicles in China last month, an increase of 16 percent from a year earlier. The growth was led by the VW brand, which recorded sales of 210,500 vehicles, a rise of 17 percent from the same month last year. In July, Skoda volume advanced 16 percent year on year to 21,400 vehicles while Audi deliveries rose 9.9 percent to 45,454 vehicles. The company didn't disclose sales for the Porsche brand in China last month. In the first seven months, the VW Group's China sales totaled 2,148,000 vehicles, a gain of 8 percent from the same period last year. In July, General Motors delivered 270,529 vehicles in China. Through July, its China sales reached 2,081,005 vehicles. The VW Group was outsold by GM in 2015 as well as in June this year.